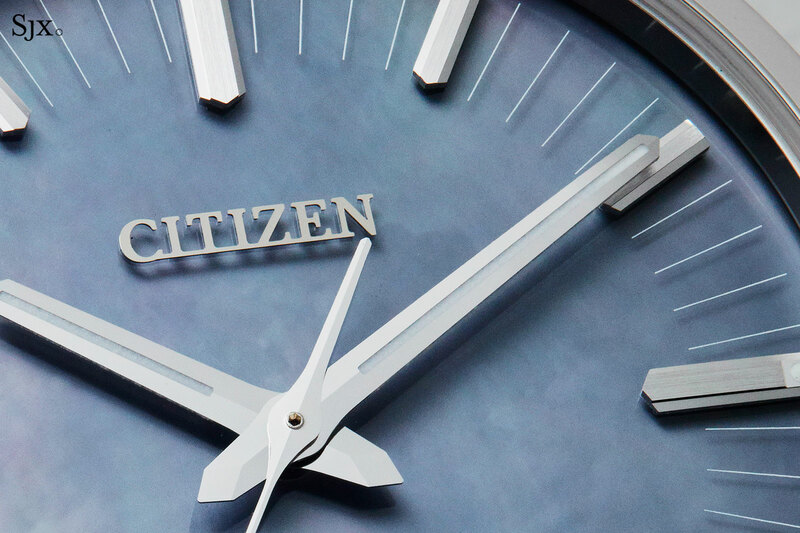 The Citizen Caliber 0100 is a remarkable accomplishment – it is the most accurate wristwatch ever, able to keep time to within one second a year. The Caliber 0100 is essentially a solar-powered quartz movement, but that’s like saying the Bugatti Chiron is basically two-seater car. It’s a watch that has been refined and improved to the nth degree. In order to keep time to ±1 second a year, the Caliber 0100 combines several innovations. Firstly, the very foundation of the quartz movement has been drastically improved. Quartz movements rely on an electric current passing through a quartz crystal, making the crystal vibrate at a high frequency. The vibration of the crystal oscillator is what keeps the beat of the movement. 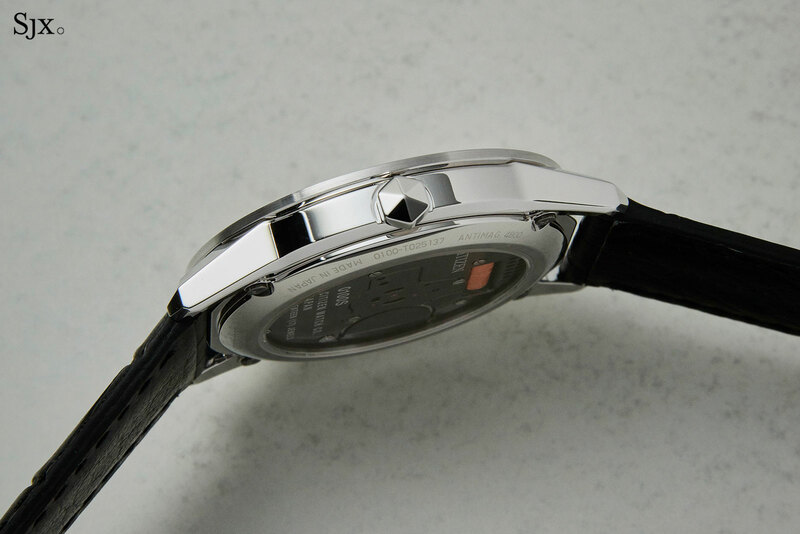 The crystal oscillator inside the Caliber 0100 movement has an AT cut. This is the most common type of cut for high frequency crystal oscillators, but not found in any modern day quartz movement. 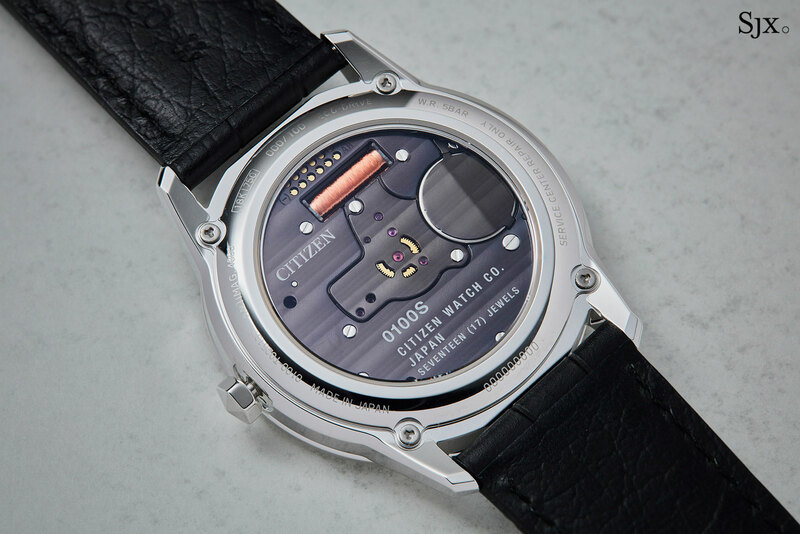 Though in the 1970s and 1980s, a handful of ultra high-end quartz watches, including some produced by Citizen and Omega, did use AT cut crystals. Today’s quartz watches all rely on tuning fork, or XY, cut crystals. Tuning fork cut crystals are the predominant cut type for low frequency applications. Because an AT cut oscillator can operate at far higher frequencies – more than 100 times the frequency of a tuning fork cut oscillator – it is more stable and thus more accurate. Its high frequency makes an AT cut oscillator less susceptible to environmental factors like temperature, gravity, or even simple aging over time. The AT cut oscillator is more stable in the face of gravitational influences due to movement or arm position, due to its shape. That contrasts with a tuning fork cut oscillator that has twin prongs that vibrate freely, which means changes in position can lead to miniscule errors. 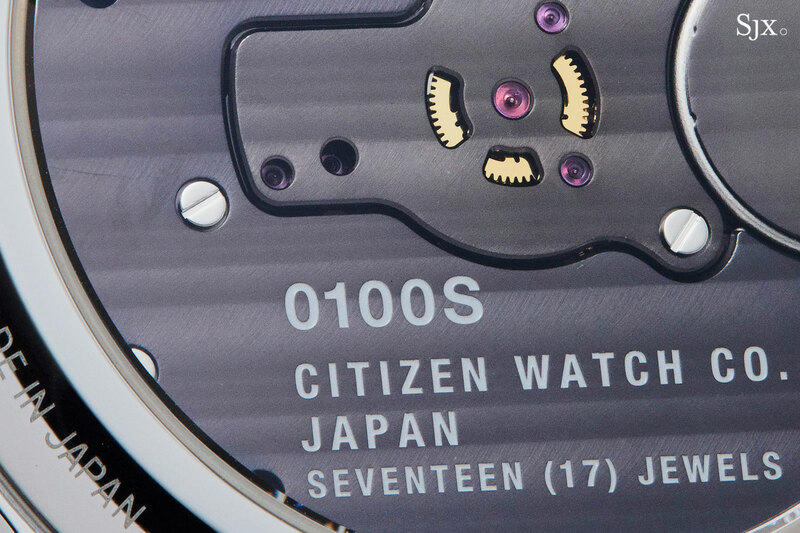 But just to be doubly sure, only specially selected AT cut oscillators are selected for the Caliber 0100. The quartz oscillators are artificially aged with temperature test that evaluates twice the number of steps as compared to the test for a standard quartz crystal. According to Citizen, the testing methodology itself was improved such that there was a 10-times increase in the precision of the test. The stability of operating frequency is then measured, with only the oscillators that show minimal frequency variations cleared for use in the Caliber 0100. But AT cut oscillators consume significantly more energy than tuning fork cut oscillators – obvious since they vibrate at far higher frequencies – making them impractical for a wristwatch, which has a small, limited power supply. 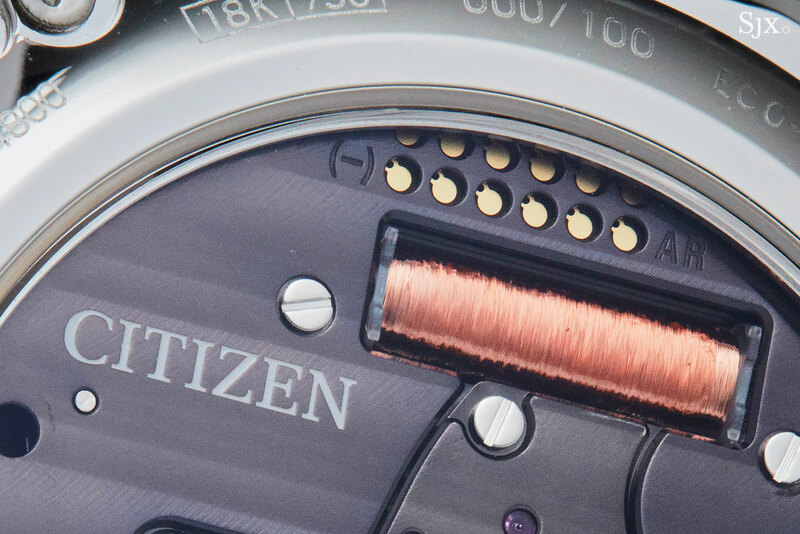 By optimising every aspect of the watch movement, from materials to power saving electronics, Citizen’s engineers managed to make the Caliber 0100 efficient enough to be practical. For instance, the LIGA etching technique was used to produce the nickel-phosphorous springs and wheels, ensuring they have perfect geometric and tolerances, and function with zero play. 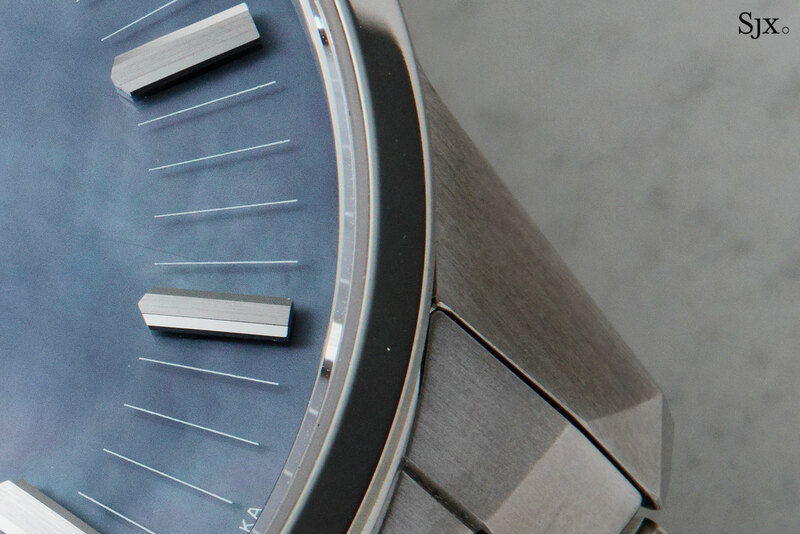 On a full solar charge, the Caliber 0100 will run for six months (and on power-saving mode it’ll go eight months). 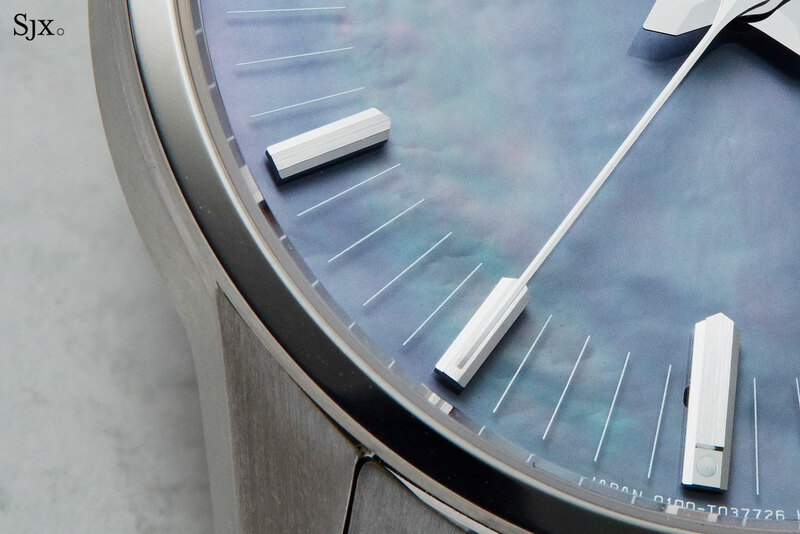 The accuracy of the Caliber 0100, however, goes beyond just the fancy quartz crystal. The integrated circuit inside the movement regulates its own timekeeping by monitoring both ambient temperature. Because the frequency deviations that result from temperature are known, having been tested during assembly, the IC automatically corrects the frequency of the oscillator in response to temperate fluctuations. In short, the movement adjusts itself if necessary – and does so every minute. Moreover, the Caliber 0100 has been constructed to operate optimally in temperatures ranging from 5°C to 40°C. 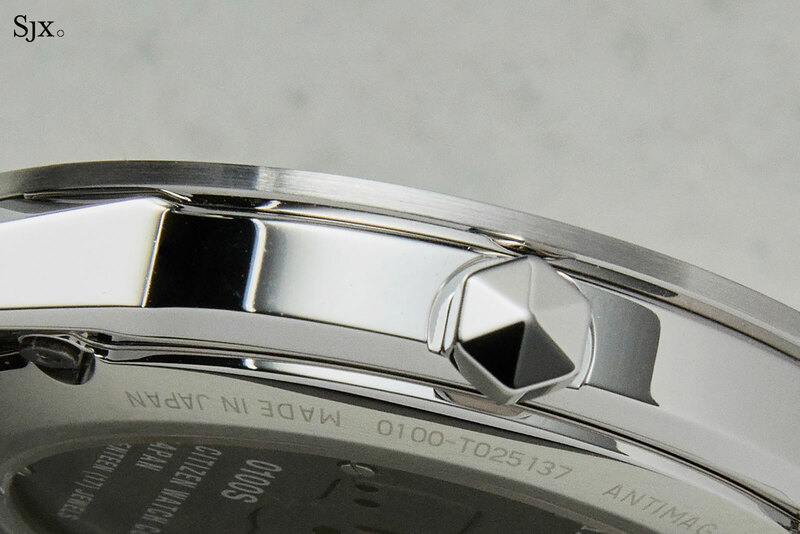 Lastly, the Caliber 0100 also corrects itself physically in a two-step process. One is a “shock counteraction function” that locks the canon pinion of the hands in the event of an impact, and the other a monitor system that regularly checks the positions of the hands and then automatically corrects it should they be displaced. 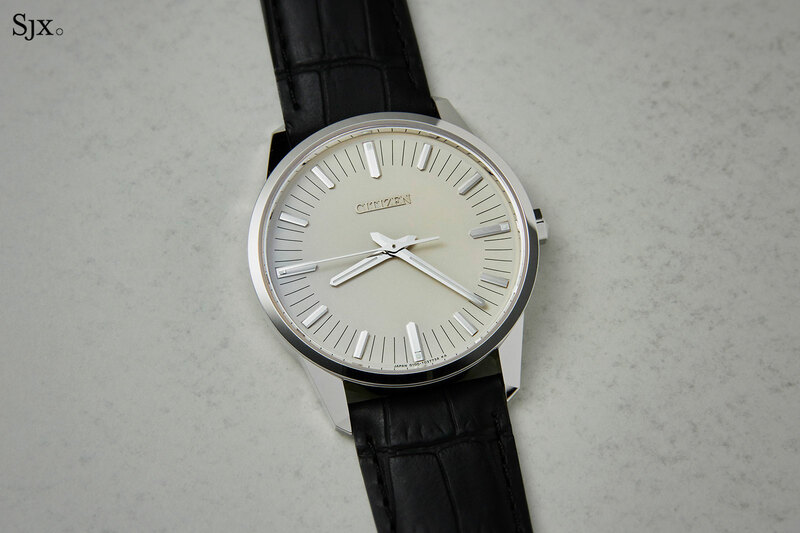 The styling of the Caliber 0100 watch exemplifies Japanese minimalism. Though the overall design is resolutely clean, it boasts subtle nuances and polished details that give it a sophisticated feel. 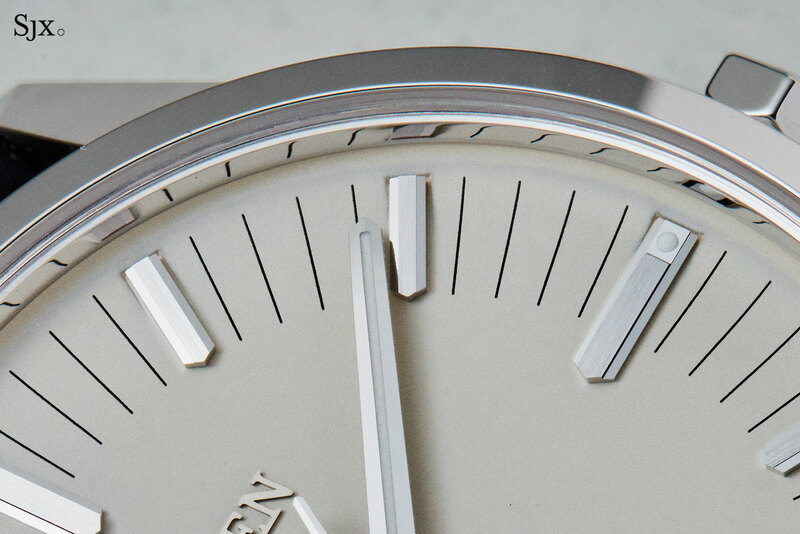 The dial is slightly bowled shaped, matched with a seconds hand that is extra-long and curved downwards, meaning the hashmarks for the seconds and tip of the seconds hand almost meet each other. All of the hour markers are alternately brushed and mirror-polished, and faceted lengthwise. But the refinement of the aesthetics goes beyond the static elements. The motion of the seconds hand was also the result of significant thought. The mechanics that drive the seconds hand were conceived to have minimum backlash or play, so that the seconds hand ticks in resolute steps. A specially developed gear assembly that incorporates a spring is linked directly to the seconds hand, keeping a constant tension in the seconds wheel, ensuring there is no backlash. And the gearing for the hands allows for both backwards and forwards motion, allowing the hands to travel in the quickest direction when the watch is awoken from power-saving mode. Notably, the hands are brass and substantial in size, unlike ordinary quartz watches that have to make do with slender hands due to the lack of driving torque in conventional quartz movements. But the Caliber 0100 was constructed with a high torque motor, allowing it to be equipped with comparatively large hands. 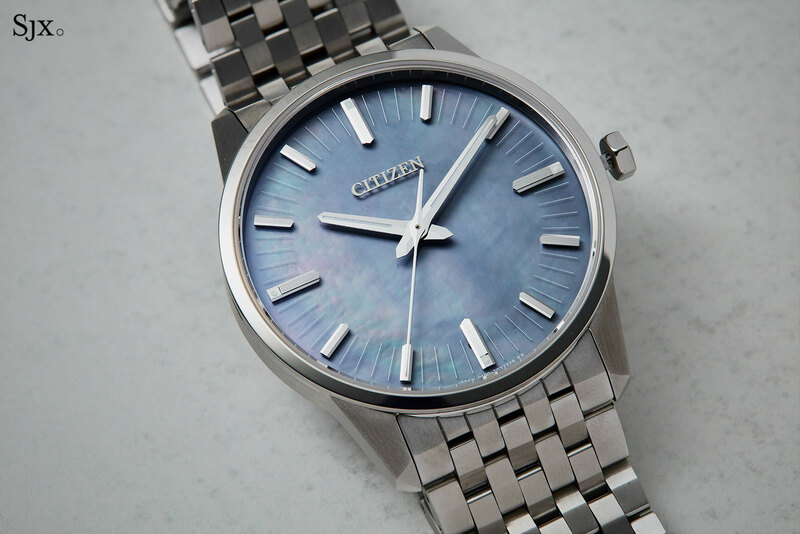 All of the effort put into the movement means the Caliber 0100 is worthy of a display back, making it one of the rare handful of Citizen watches with an open back. That reveals the movement, which has its brass bridges plated in black ruthenium and decorated with a linear striping. 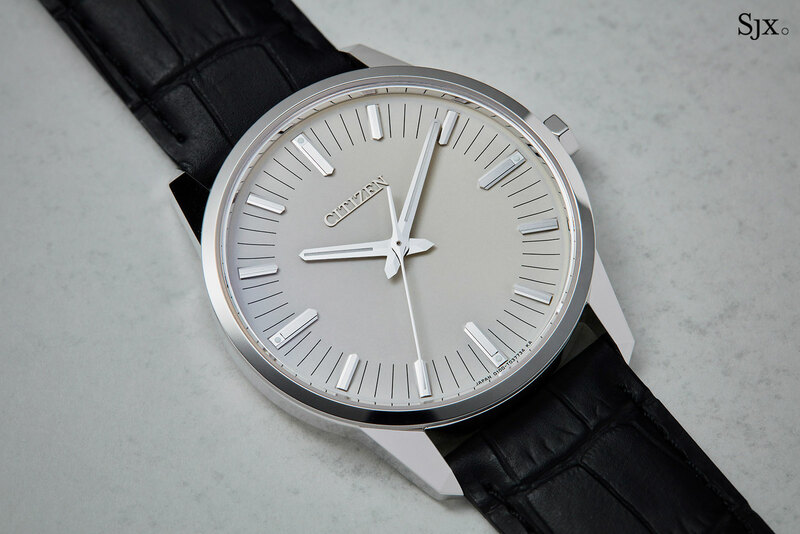 The Caliber 0100 is assembled at Citizen’s facility in Nagano, where all of the brand’s top of the line watches, including the Campanola, are put together. “Meisters”, a class of craftsmen bestowed the title by the Japanese government, are responsible for assembling the Caliber 0100 by hand. That includes ensuring the seconds hand lines up perfectly with every single one of the 60 hashmarks on the track around the dial. The Caliber 0100 watch is available in three iterations, though all share the same basic design and features. Most notably, when the watch is in the dark for a prolonged period of time, it enters power-save mode; the hands freeze while the movement continues to measure the time. Compact and easily wearable, the case is 37.5mm in diameter and 9.1mm high. The Caliber 0100 watch case was inspired by the facets of a crystal, explaining the facets in the lugs as well as the crystal-shaped crown. It has a water-resistance rating of 50m. The top of the line model is the Caliber 0100 in 18k white gold, matched with an ivory-tone dial. This is limited to only 100 watches. And the more affordable Caliber 0100 is in Super Titanium, which is titanium coated with Duratect α, an improved version of Citizen’s proprietary surface hardening technology that boosts the scratch-resistance of the alloy significantly. Super Titanium has a surface hardness of 2000Hv on the Vickers hardness scale, compared to 1000Hv for conventional Duratect and just 200Hv for stainless steel. The titanium Caliber 0100 is offered with either a black dial covered in tiny apertures that resemble a microscopic honeycomb, or an iridescent dark mother of pearl dial. Both versions of the Super Titanium Caliber 0100 are matched with a supple “beads of rice” titanium bracelet. 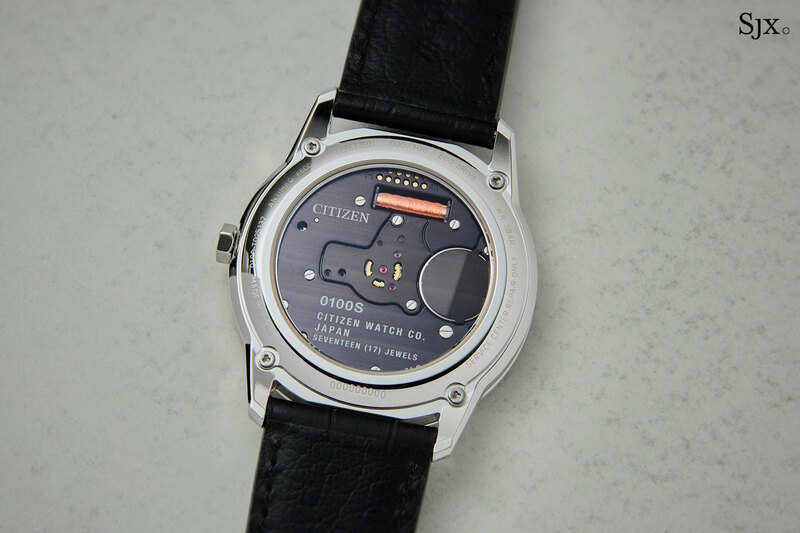 Sold in Japan as part of The Citizen collection, a top of the line time-only range of watches, the Caliber 0100 will be sold internationally under the general Citizen label. The Caliber 0100 in 18k white gold (ref. AQ6010-06A) is a limited edition of 100 pieces, priced at US$16,800. It will arrive in stores in the third quarter of 2019. The Caliber 0100 in titanium with a black dial (ref. AQ6021-51E) is limited to 500 pieces, while the same with a mother of pearl dial (ref. AQ6020-53X) is limited to 200 pieces. Both will also be available in the third quarter of 2019, priced at US$7400. 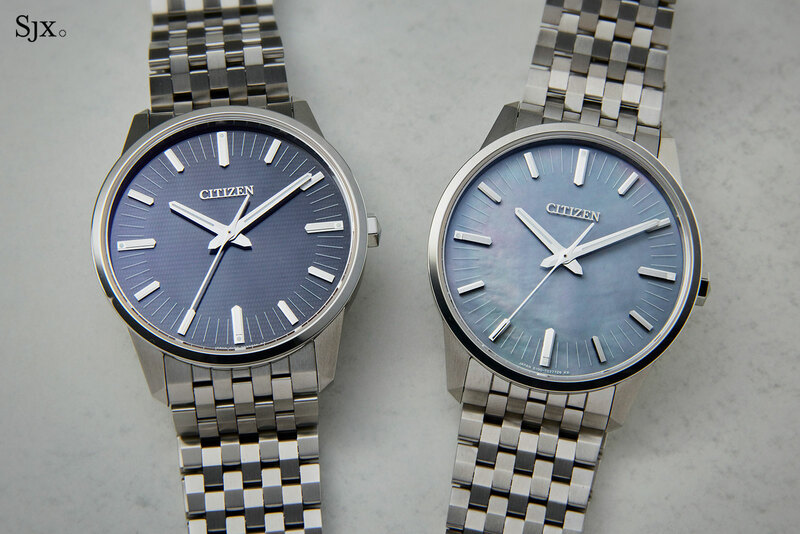 Correction March 21, 2019: The Citizen Caliber 0100 is not the first instance of an AT cut crystal in a wristwatch, as stated in an earlier version of the article. 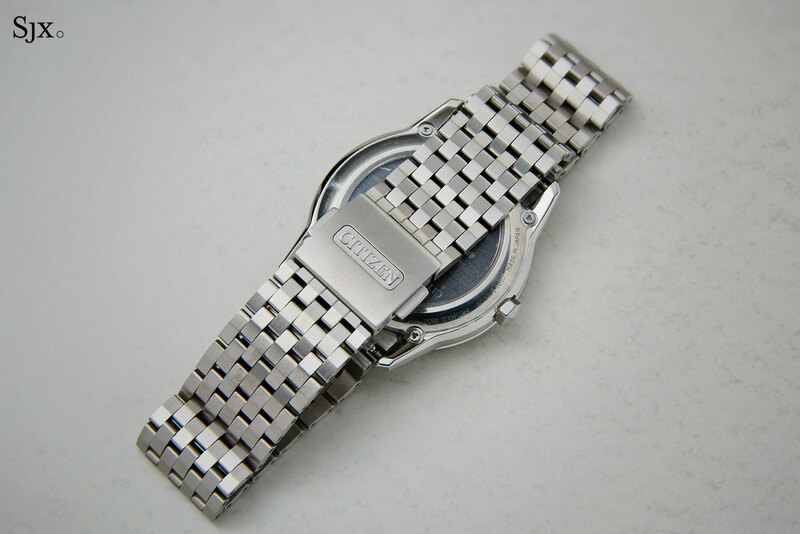 AT cut crystals were found in a small number of quartz watches in the 1970s and 1980s. Update March 22, 2019: Added more information on how the IC and monitors adjusts the oscillator’s frequency.